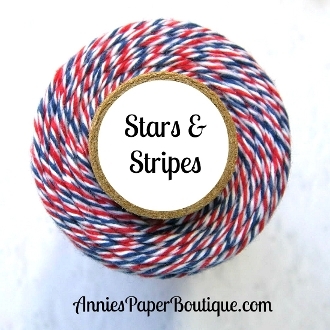 HTB Creations: Trendy Twine -- Happy Memorial Day! A perfectly patriotic card! I love the background paper you used. Happy Memorial Day! Looks amazing! Perfect for Memorial Day weekend. Great card!! Love the papers and your stars die cut!! :) Happy Memorial day! Awesome card and design! The stars have such great dimension, they just pop on your card! Love the background paper too! Wishing you and your family a safe and enjoyable holiday!